I have been developing an iPhone app to promote the oil change shops and allow customers to be able to shop for an oil change from there phone. I spoke with the the American Oil Change Association today and they are having their annual IFlex 2010 at the Hilton Las Vegas this weekend. I am going and will report back to you on what I find. I plan to take video and blog on anything of value. 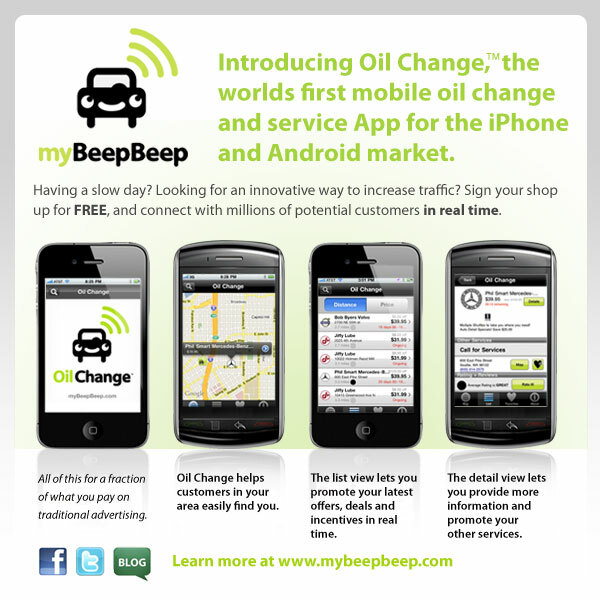 My intention is to find the best shops and services offered and get "Oil Change" the iphone app on the map. check out www.mybeepbeep.com for a glimpse of what's to come.